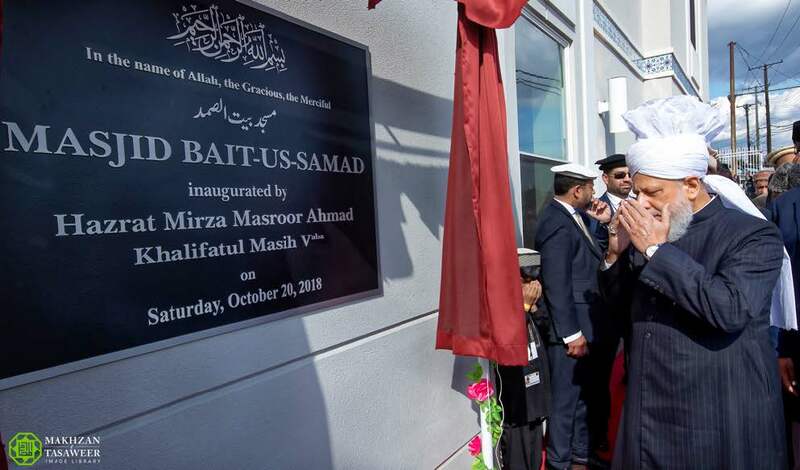 On 20th October 2018, the World Head of the Ahmadiyya Muslim Community, the Fifth Khalifa, His Holiness, Hazrat Mirza Masroor Ahmad inaugurated the Baitus Samad Mosque in Baltimore, USA before delivering the keynote address at a special reception held to mark its opening. 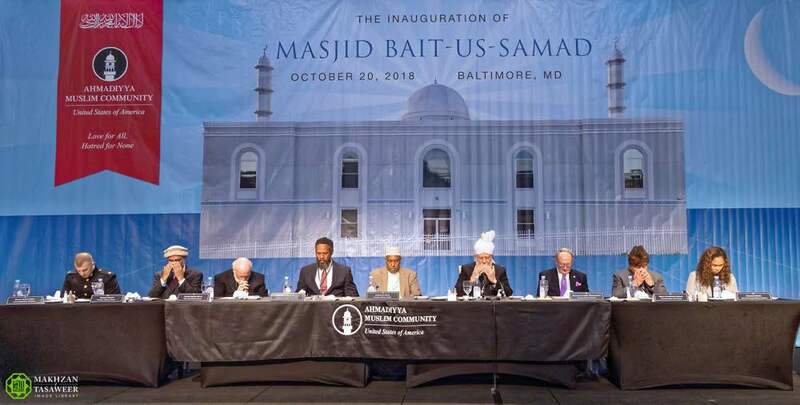 Upon arriving in Baltimore, His Holiness officially inaugurated the Baitus Samad Mosque by unveiling a commemorative plaque and offering a silent prayer in thanks to God Almighty. 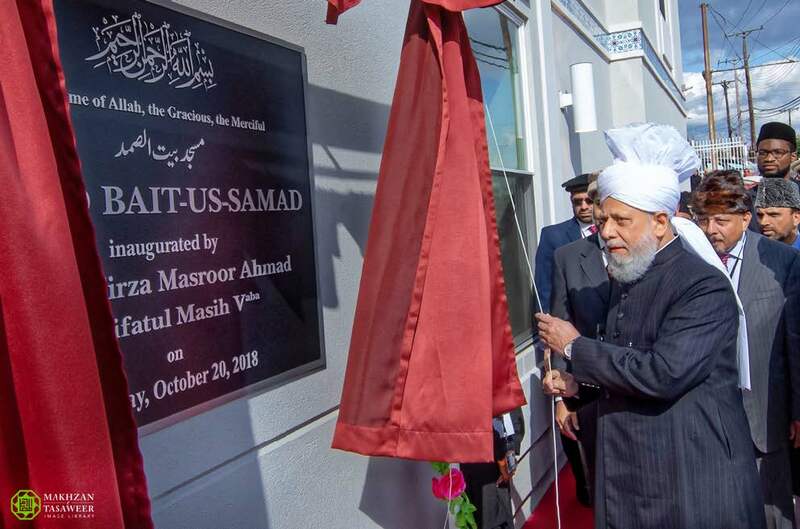 Thereafter, His Holiness led the Zuhr and Asr prayers at the Mosque and inspected the new premises. 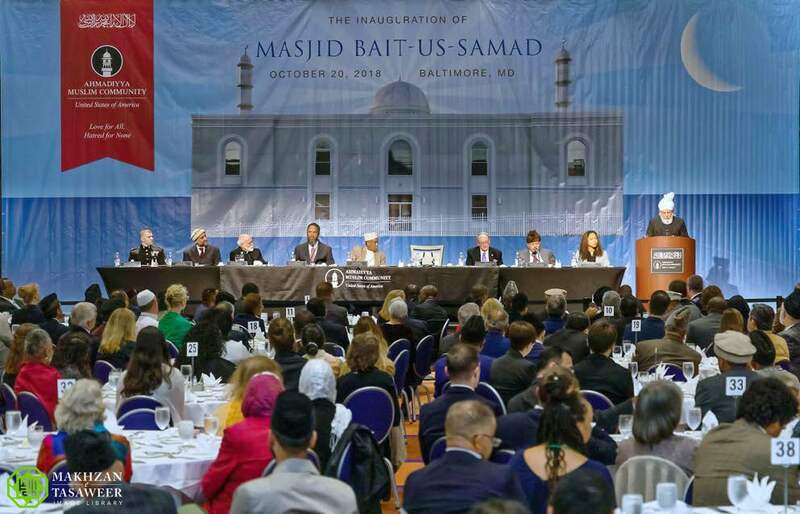 Later, 500 people attended a special reception held at the Hilton Hotel, Baltimore, including 320 dignitaries and guests. 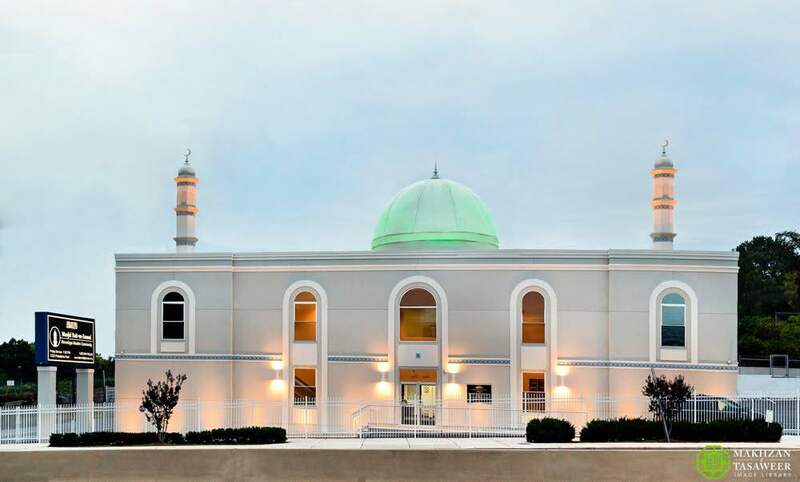 During his keynote address, Hazrat Mirza Masroor Ahmad explained the objectives of Mosques and said that true Mosques were centres of peace, where Muslims joined together in order to worship God Almighty and to serve humanity, irrespective of faith or belief. 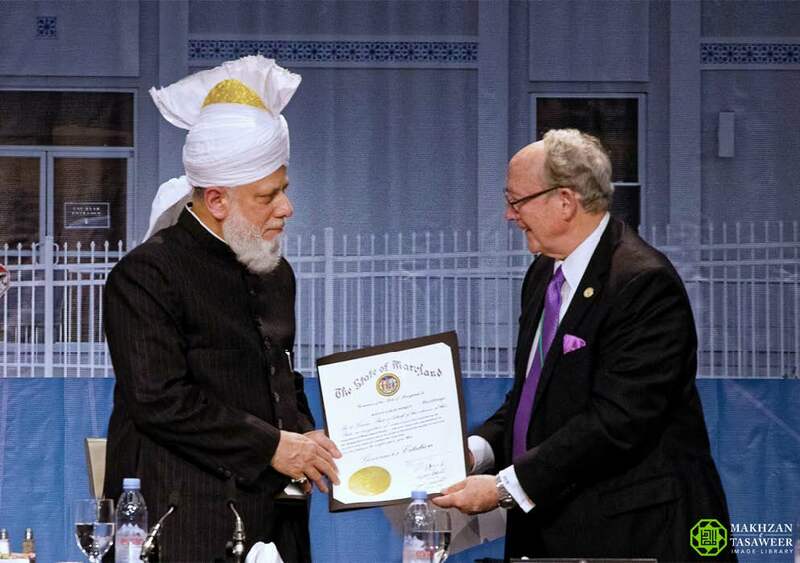 His Holiness also called on mankind to unite and to foster peace in society, rather than exacerbating tensions and conflicts that have ignited in much of the world in recent times. 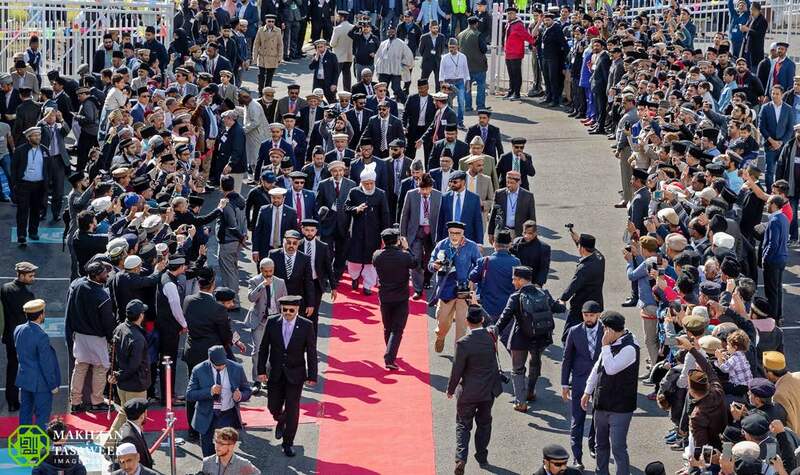 At the beginning of his address, His Holiness said that it was not surprising that some people feared the Mosque or harboured concerns about Muslims due to the incessant negative portrayal of Islam in the media. 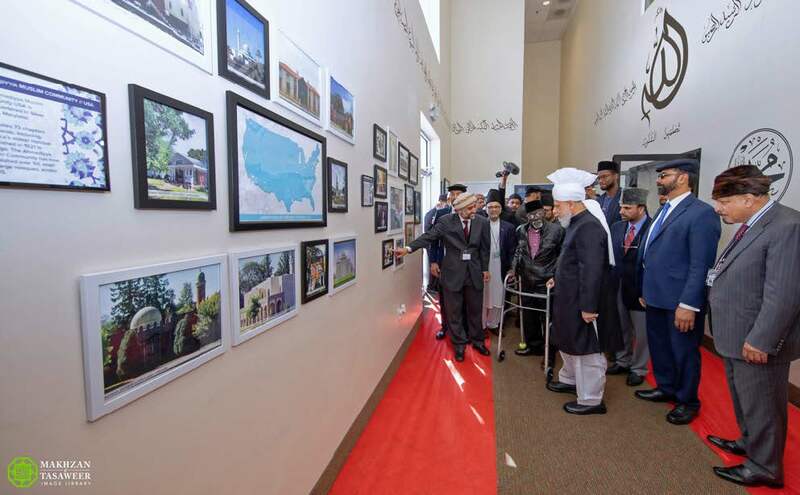 His Holiness said that the history of the Ahmadiyya Muslim Community bore testament to the fact that wherever Ahmadi Muslims build Mosques, they fulfil the true objectives of Mosques. 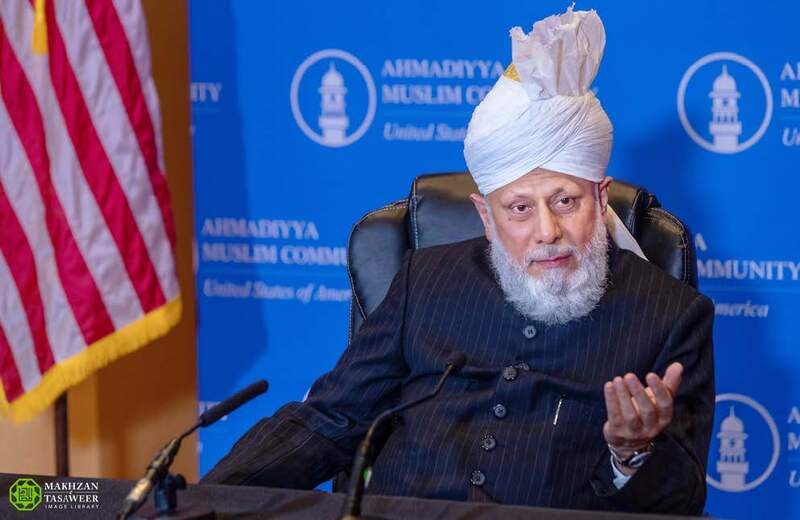 His Holiness went on to say that long lasting peace cannot develop “with the click of our fingers.” Rather, His Holiness said it requires society to unite upon common values whilst exhibiting mutual respect for one another. 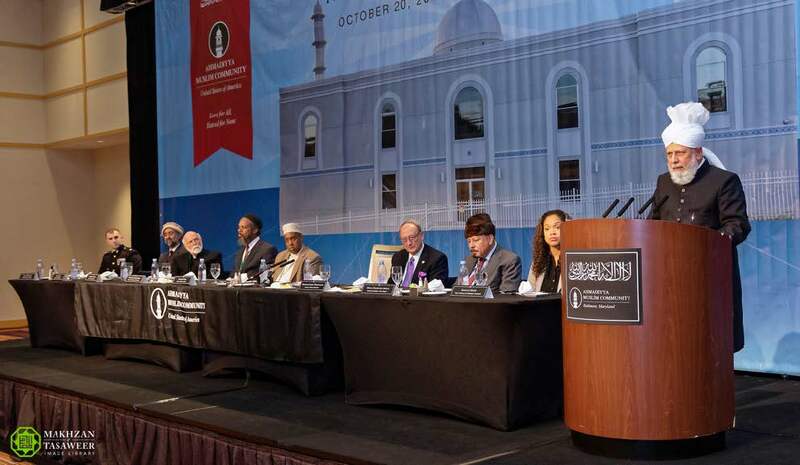 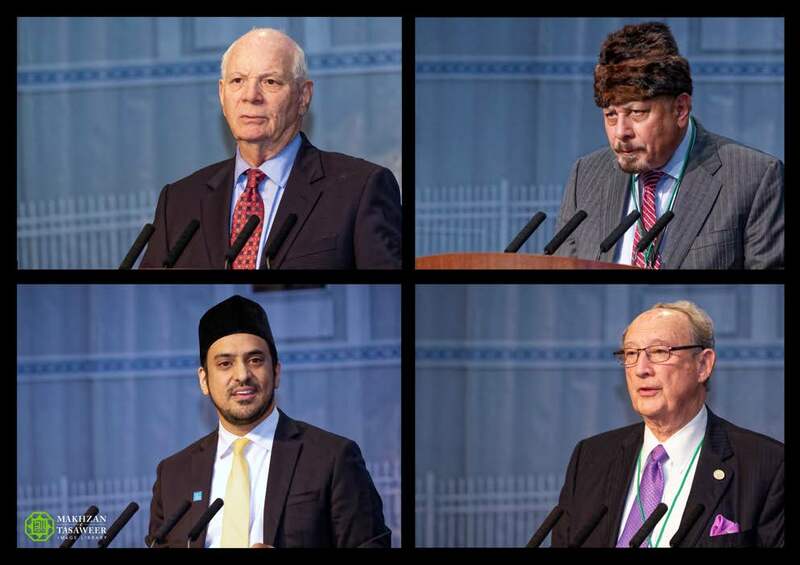 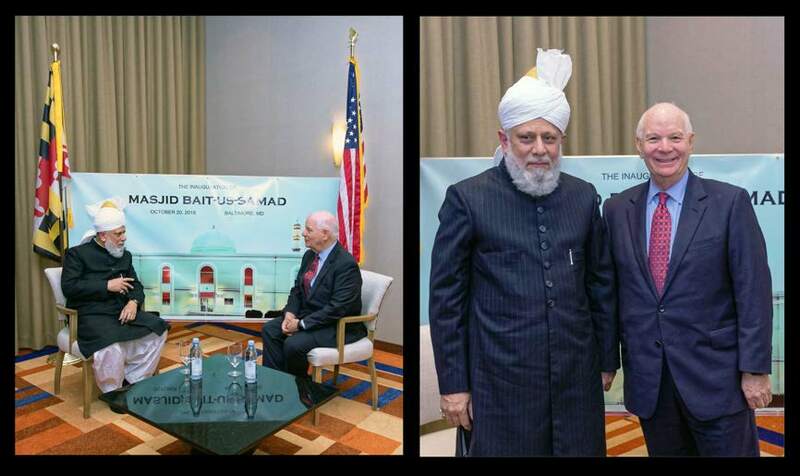 Earlier in the evening a range of dignitaries also addressed the audience, whilst the National President of the Ahmadiyya Muslim Community USA, Dr Mirza Maghfoor Ahmad introduced His Holiness prior to the keynote address. 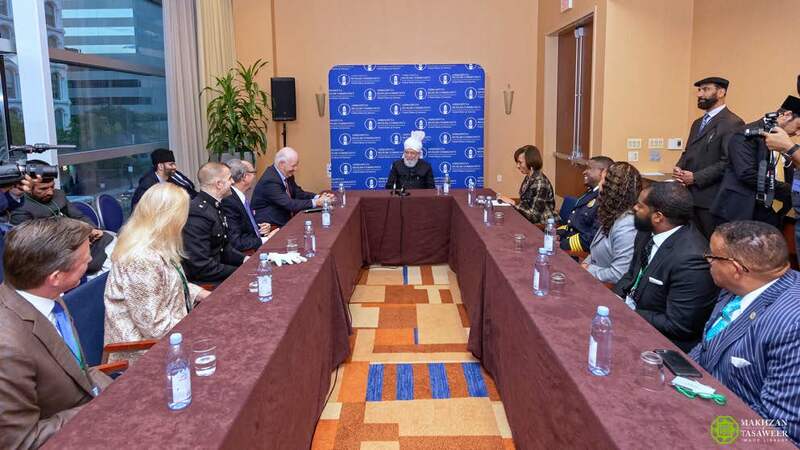 Earlier, His Holiness met with a range of dignitaries privately, including Honourable Ben Cardin and Honourable Catherine Pugh, Mayor of Baltimore. 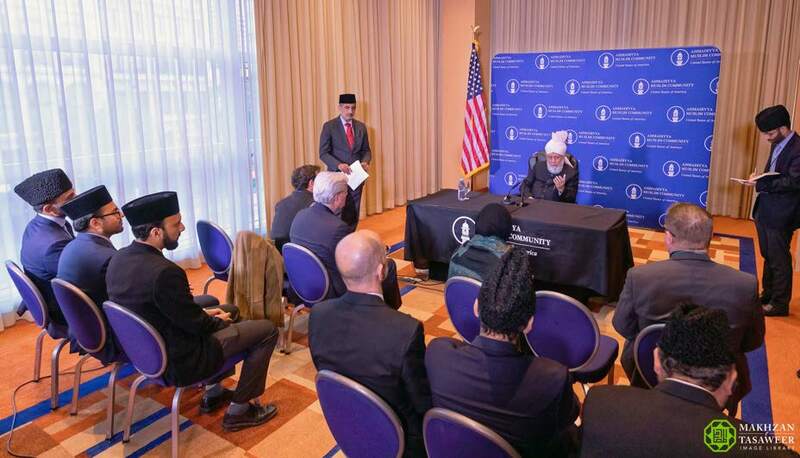 His Holiness also answered questions during a press conference with the assembled media.